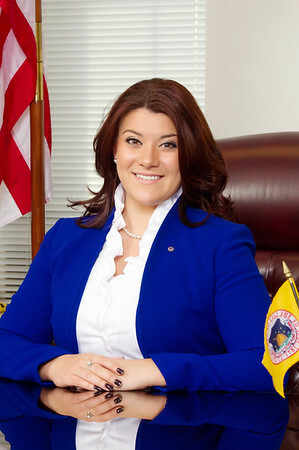 NEW BRITAIN - Mayor Erin Stewart announced Monday morning she is seeking re-election for a fourth term as the mayor of New Britain. Stewart made the announcement in a video that is available on her Facebook page at www.facebook.com/ErinStewartCT , StewartforNB.com, and on YouTube at https://youtu.be/cj1l1ZIwTjs. “My vision is crystal clear: keep investing, keep building, keep leading, and keep stepping forward. That is why I am proud to announce that I am officially seeing re-election as your Mayor,” Stewart said in the video. In the video, Stewart told viewers what leadership means to her. “Leadership means doing what you know is right, especially when it isn’t popular or easy. It means telling people where you stand, where you want to go, and then going there. Leadership means holding yourself accountable for both the successes and the shortcomings. 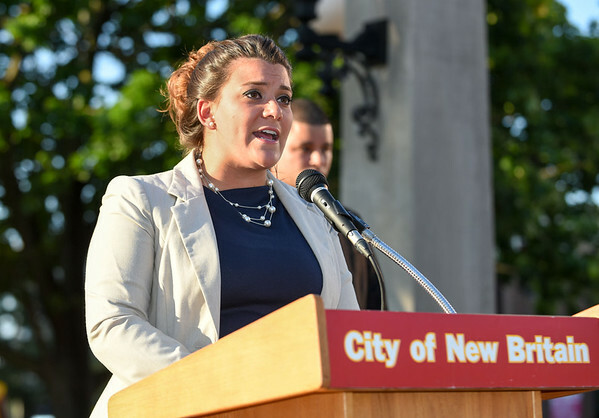 If New Britain is going to continue stepping towards a brighter future, it will take leadership,” she added. Stewart went on to say that it’s been her highest honor to serve as Mayor in the city. “With your vote this November, we can continue taking those next steps together, we will provide the leadership we need," she said. Stewart will host a re-election kickoff event on Tuesday, April 23 from 5 p.m. to 7:30 p.m. at the VFW Post 511, 41 Veterans Drive, New Britain, Conn. Entry is $25 per person. Attendees can donate online at www.stewartfornb.com or at the door. Posted in New Britain Herald, New Britain on Monday, 15 April 2019 10:00. Updated: Monday, 15 April 2019 12:12.